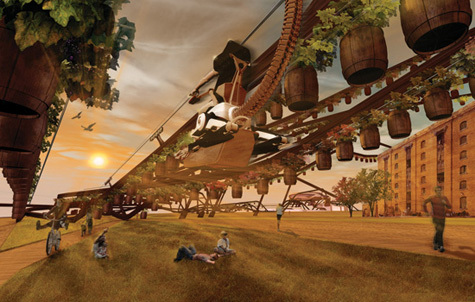 [Image: The King's Vineyard, London, by Soonil Kim, one of many projects featured in London Yields: Urban Agriculture]. Eating locally-grown food is the new trend. But it’s more than a trend: it saves on gas (less transport to get the food to you), it helps the local economy, and it usually means fresher food for you. Definitely cool, as we can make a difference globally, locally, and for our own health. In addition, it helps us build community. This is the sort of responses we can expect to see from smart global food brands. It seems to me that Campbells understand that wholesome homegrown values are reemerging and that the future of their company depends on working with these values. I recently took a class called "Living as a Locavore". And what you ask is a Locavore? Clare, Emerald, Hayley and the rest of the AUT SIFE team put on a great event yesterday at the Ooooby Workshop yesterday in Grey Lynn. Vincent Dickie waxed lyrical about the upcoming Grey Lynn Farmers Market and we also had Wendy come and teach us a few things about square foot gardening and zones around the home (permaculture speak). At the end of a long and windy road is a big shed. A small wind turbine whirs on a hill behind it. Down the hill, slightly, the foundations for a house are laid out on one of the only flat bits of land. Alix Pfenningwerth spent a Sunday afternoon last month transplanting beet seedlings into a 4-foot-by-7-foot garden patch. Now the beets are growing in a neat row among herbs, lettuce, greens and garlic - in the front yard of the house she rents in the heart of the Fourth and Gill neighborhood. I've been composting with worms for many years now and I am continually impressed by how good they are at what they do- eat our garbage. Technology for the nuclear (atomic) bomb and the technology to allow television broadcasts, were both discovered at about the same time – in the very early 40’s. At that time, one can imagine that most people felt that the bomb would have the power to destroy the world. WINNING GRIN: Vavau Otuafi, second from right, with her son Junior, 4, and Housing New Zealand representatives, from left: Liz Jenkins, Nana Fonoti and south Auckland region manager Madhavan Raman. Would it be possible for you and your neighbours to get a decent amount of fruit, veg, herbs and eggs from each others collective backyards? 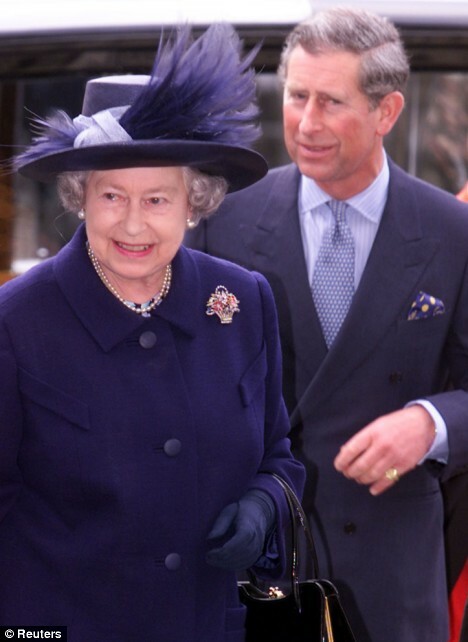 LONDON (AP) — Prince Charles, an avid gardener and environmentalist, has received Britain's top gardening award from his mother, Queen Elizabeth II. A delightful tale. Click here to see the rest. It’s time to plant garlic in Wellington. 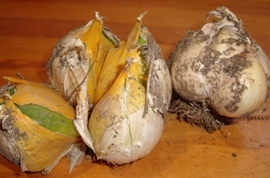 If you fancy a change, try planting some elephant garlic at the same time. It’s larger and milder than ordinary garlic. It’s said not to keep as well, but this is a recent photo of both types I dug earlier in the year and neither has deteriorated yet.